My previous post suggested a multi-layered view of our work in arts organizations, including attention to the nouns of our ‘products’ or ‘outcomes,’ the verbs of our ‘processes’ or ‘practices,’ but also the core ‘source’ or ‘wellspring’ of the work that drives and inspires us. One obvious wellspring for many of us in the arts is a “love of beauty,” or the intrinsic joy and revelation of form, action, sense, and sensibility we derive from arts experiences. Yet, love of beauty is not, generally, a frequent and comfortable conversation among arts professionals (some, yes, but not many). It’s easier to talk about products/outcomes or processes/practices, and so we do. A first stage in this siege was to shrink the domain of beauty itself down from the whole natural, intellectual, and moral universe to the purely sensory world; to further restrict it then to a single province within the sensory, namely, “art”; and simultaneously to refine the world of art itself down into a kind of treasure chest for a small class — the rich and knowing. A further stage in the attack was to call the love of this impoverished beauty “aesthetic pleasure,” or later, and worse, “the aesthetic attitude.” Another stage was to isolate this attitude, making it an alternative to, even a competitor of, other attitudes, feelings, and activities, such as the practical, the intellectual, the religious, the moral, the political, the sexual. Yet another stage was the realization and acceptance that even the tiny domain to which the love of beauty in this disfigured form had been banished, namely, art, was itself by the twentieth century disowning it. With that, the old and grand idea of the love of beauty, now a mutilated, disinherited, and homeless waif, was expected simply to die. And anyone asserting its ancient power…could with impunity be assumed to be intellectually, politically, morally, or spiritually effete. A bit dramatic, perhaps. But the stages resonate with me, at least. 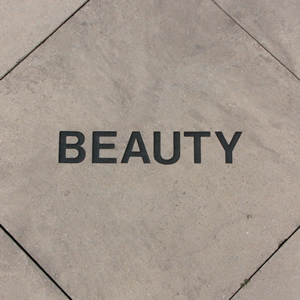 What’s the playbook that brings “love of beauty” back to a central role in our work and our world? NOTE: I’m thrilled about the evolving work on this challenge being done by Diane Ragsdale (at Banff Centre and elsewhere). Check it out! I’d argue that it wasn’t “civilization” that attempted to kill beauty. It was Christianity. From Sappho to Lucretious, Kant to Greenberg, artists have always understood what beauty is. It was Christianity that wanted to kill paganism and instill focus away from poetic beauty to the church. And we still have beauty around us to this day. It’s artists that have and still creating beauty. Too many people are losing the insight to look to artists.